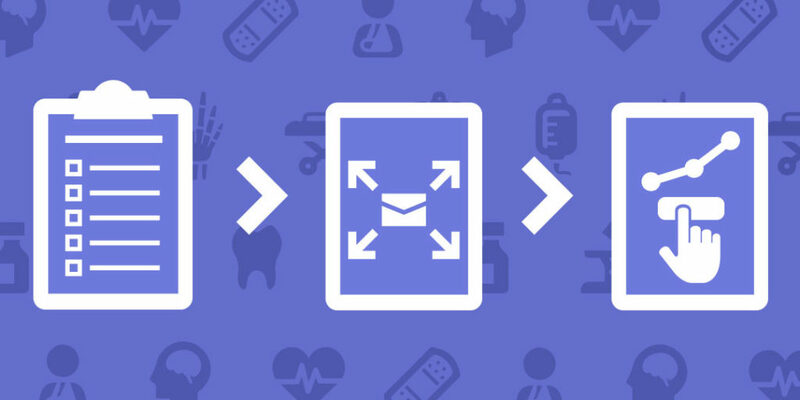 Doctors, patients and caregivers are on the go, and email marketing is one of the best ways to reach them. But the last thing you want is to send a HealthTech email they are going to struggle with on mobile. So here are a couple things we outlined to help you improve your email templates, and get customers engaged with email! Free email templates are great for small businesses who don’t require customization, however HealthTech brands generally have numerous offerings that require fine tuned layouts that need to adapt to a larger variety of mobile devices.Get away from cookie cutter templates and create a unique one that better suits your brand’s goals. Outline the most useful or valuable information to your customers. Determine what information is essential to drive users to action. Less is more. Lengthy emails risk your customers missing the point and skipping the HealthTech email entirely. Prioritize the most important content and call-to-actions above the screen “fold” (the amount of the email most customers will see without scrolling). Create short and clear statements and avoid lengthy descriptions. Design is as much about communication as it is the look and feel. Make your call-to-action buttons look like eye candy so they are enticing to click and large enough to click on mobile devices. Use vibrant or contrasting colors with clear action driving text. Use high quality images and graphics. We all look at a lot of emails every day, make sure yours stand out from the rest. Design at least two variations of your email content layouts. One optimized for smaller mobile devices with screen sizes 340px to 400px wide, and one for medium to large devices 400px wide and larger. Prevent the layout from exceeding 600px wide to ensure the email won’t get cut-off. To learn more about how to display your HealthTech email content download our free Responsive Email Design Worksheet. To learn more about best practices for coding emails check out MailChimp’s Limits of HTML Email page. There are over 40 email clients and browsers that your emails are viewed on (not even including the thousands of different device screens out there). Testing across these platforms helps you fine-tune the design and code to ensure a consistent and optimized experience. Have an experienced web developer use a service called Litmus to test your marketing email templates in a preview pane with images on and off, and produce a preview of how it displays in the 40+ variables so you know what your customers will see when they click open. Refine the code or design, test, repeat. You can’t make your email look identical across the board, but you can optimize it for most situations. By organizing and prioritizing your content, designing a great experience for your vast mobile audience (within the limitations of basic HTML), and careful coding and testing, you can improve your HealthTech’s brand image, dramatically increase your click-through rates and create new leads to drive sales. Let's talk about your click-throughs rate.